Today we’ve put together some of the most frequently used homeschool science curriculum and what you need to know about them. Our hope is for you to find the best one that will suit your family’s needs. You can try supplementing these with your current online homeschool program or use as your primary science curriculum. REAL Science Odyssey (RSO) is written specifically for home and small classroom use. This curriculum from Pandia Press is also a favorite. It is packed with serious science and loads of fun! Their incremental program gently builds on itself and incorporates scientific modeling, mathematics, scientific method, and science terminology. The curriculum is easy to use and you don’t need any science background to use or teach RSO. Each topic in the RSO series of books is presented in an entertaining story-like format and is followed by hands-on activities along with background science information, parent instructions, labs, reading lists, journaling ideas, and websites. It helps that every lesson is presented as an entertaining read-aloud story, gently presenting science vocabulary in context. Instructor pages contain all the information needed to successfully complete each lab including supply lists, procedures, answers, and discussion/group ideas. The lab activities include worksheet pages for students to record hypotheses, lab findings, observations, results, conclusions, and discussions. Apologia has been the biggest winner when it comes to homeschoolers choice of a science curriculum. It is often voted as #1 homeschool science curriculum from the list of other great homeschool resources. The curriculum is written in a conversational tone with step-by-step experiments right after the reading to help reinforce what the children are learning. Its layout is very simple and easy for the kids to do. Apologia is written with a Christian perspective, as well as the scientist perspective all in one. 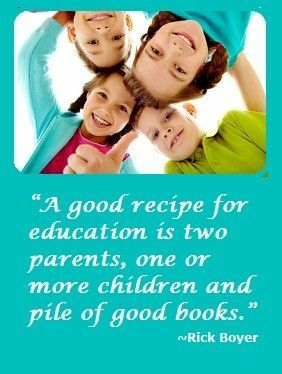 The terms used are easy for the parent and student to learn since it was written by an experienced science teacher and homeschool mom Jeannie Fulbright. Students not only read about and document their knowledge, but are able to own what they learn by personally interacting with the material. In most homeschooling communities this science curriculum was mentioned many times as well. They have a variety of things on their site including Preschool curriculum, unit studies, living books, and more. Their science program has weekly hands-on experiments that provide the chance for students to interact with science face-to-face. Experiments and demonstrations have step-by-step instructions, expected results, and clear explanations. They make experiments easy with their easy to purchase kits. Each program contains reading plans that will teach students what they need to know. Resources are inspired by encyclopedias and living books but are made easy with their day-by-day lesson plans, so you know what to share and when. Customized notebooking pages and experiments sheets are already included in the programs to help students organize and share what they’ve learned. 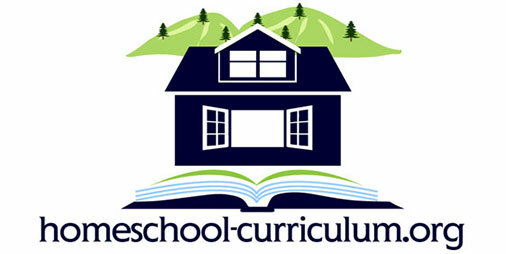 This curriculum also is often mentioned in many homeschooling forums. They offer two choices for curriculum, both of which provide a solid foundation in the five core areas of science: chemistry, biology, physics, geology, and astronomy. Exploring the Building Blocks of Science and Focus On series is a semester-long unit study program. The Building Blocks Series is based on an upward-spiral teaching method where the 5 core disciplines (chemistry, biology, physics, geology, and astronomy) are repeatedly visited and built upon over months and each year. While the Focus On Series is based on a “block” teaching method, where focused learning is condensed to a shorter “block” of time. It was purposed for those parents and teachers wanting a solid introductory-level science course who also want to sequence their own science program. The Focus On Series is also beneficial for the student with an inherent interest in one particular area of science. There you have it! Four awesome homeschool science curriculum you can choose from. As always do your homework on researching and making sure that it will fit your homeschool. Be on the lookout for free samples that are being offered by publishers and ask questions before buying. Have fun learning!